Why do people blog? To share, to experience, to generate ideas. Blogging starts with a conversation with its readers and ends with it. Business Blogging is when these expressions and relations take a more a serious turn. Where your readers are also your prospects, and your relationship with them is more than that of a friend. You are their guide, and their adviser. "[…] with business blogs, we need to go further. Meaningful dialogue on a business blog, I believe, is different. It is about taking that one step extra. It's still built on the basis that people prefer to do business with people they like and trust, but surely that means going above and beyond a simple conversation. In business, it's only when these conversations lead somewhere that they become truly useful in commercial terms. For me, that is about creating connections. […]"
"[…]a connection is when communication on business blogs makes an impact or really strikes a chord with those reading them. The type of connection when something "clicks" as you talk with someone … at whatever level. Ideas, commitment, personality, integrity, presentation perhaps. It's the type of link up which actually signifies something because of the mutual interest it creates. It's this which indicates an intention to make contact with that person again rather than a conversational exchange and then a parting of ways[…]"
Conversations in business are as important as otherwise. Conversation is exchange of thoughts, ideas, opinions and feelings, and that is the essence of blogging. Business Blogging should make more sense and provide more value. So in short, business blogging cannot be restricted to creating impact, but a much better platform to get inputs from your client side. Blogging is not to create impact what used to be done with conventional websites and also what our ads are doing from ages. Blogs provide a unique platform to get connect and understand your market. A post in your business blog would help your market know your company and you more closely, help you convey something to them. I understand that most of the companies are still trying to use internet effectively, and using Blogosphere is still far from it. One thing should be taken very seriously at-least for blog-o-sphere. No one can push things here. It won't take them far. So Business blogging should focus involving and making connection by bringing more people into your conversation circle. As far as connections are concerned, only a meaningful conversation, can take you to the level. Things only click when one is able to convey right and useful information across in a business. I consider conversations and connections to be two stations to a destination called business. Where every connection can only be reached when it is started with a proper level of conversation. All the description that Mark made would be an en route from Conversation and Connection. Where business blogging is concerned, blogs speak for themselves. They provide information and maintain customer relations. Business Blogging is in its nascent stage. Blogging was involved into the business scenario to build relationships with customers and prospects. By providing and assisting him and communicating with them. Successful connections automatically takes place after one is able to create a helpful communication. Where you have to leave an impact on your reader and touching him on strings important to him, or as Mark said striking the right Chord, call conversation as a medium of attaining end result called Connection. Understand your market, do a little research. It would be easy to find the problems your clients are going through. Give them the kind of solutions they are looking for. Develop a relationship with your readers. The trust and belief you will build through such an conversation, they would love to be customers. Remember as per P.T. 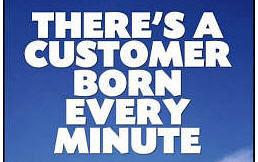 Barnum, "A customer is Born every minute", you just have to convey it to him. As kids we have always been fond of comic strips. As adults we are still fond of them. Its easy to gear up imagination and present a point using comic strips. You can make sticky marketing materials. It makes them an interesting and witty deal. When we talk about viral marketing, your brand would be popular if you project it. Both online and offline, companies have focused on using the little cartoon characters to bring them more consumers. Been to Blaugh? This is one way to make a statement using comic strips. Blaugh is famous for what it does- hiding their remarks on companies and services under the veil of humor. It gives you thinking material from time to time and still keeps your interest. At ToonDoo- You do have Ideas but you think producing strips will take in a lot of sketching and stuff. Think again. At Toondoo you can just have it done really easy. The above strip as you might have well noticed is made using Toondoo. It’s a really simple task. They provide you backgrounds, characters, props, you just have to customize them according to your need. It provides you a flash interface and all you have to do is drag and drop on the canvas. Add speech bubbles to make your characters speak. You can upload your own pictures and have fun with them. At QuickToon- This service is in the beta stage and provides you with similar abilities as ToonDoo but with a lot less options, and you cannot upload your own pictures. 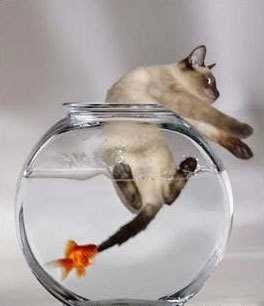 But again the choice is yours and whichever you find it easier to work with. At Mai’Nada ComicSketcher- If you are good at mouse handling(read as Sketching online) you can go in for this service. It lets you draw online and the good part is you can obviously let your imagination go wild and haywire. With comic strips you got to. Al these services will let you embed the strips in your blogs and share them with your friends. So bloggers get there and get creative. Unleash the child within you. But take along a lesson. I hope they would leave to think about something and still leave a smile on your face. 1)Results for 3rd week were announced way back. Have a look here. 2)From now onwards this blog is stopping to take any responsibilities for the site. It will be done by the Official one. 3)We have received wonderful audience for our Official Blog. Yes its up and going. 4)A new message System has been uploaded, now you can block the sender, reply to the message, and delete the message. The best part is This Blog will have its own Identity as before. The new week will see the older identity. Lots of experience to share and lots to information on board. Stay regular and expect for more, from Monday. Results for second week 24th June to 30th June, 2007 has been announced. Congrats to the selected members. Visit Pre Selections… to know the results. Start working on your blogging, take my words it will take more than “Fame me- Fame you Attitude”. As said before Contest now will be tougher. Get on your toes as soon as possible, get blogging.